Touch is the first sense to develop and is the baby’s predominant means of communication. All babies respond to the way in which they are touched and handled. Massage is an extended form of touch which develops with guidance and practice and will give you a greater understanding of your child. Massage is especially beneficial in the early months when the baby is preparing his or her body for upright postures and mobility. Comfort blankets, cuddly toys and such objects have their uses but they are no substitute for the warmth of a human hand. Practiced on a regular basis, you will find that baby massage will become intuitive and spontaneous and will provide the basis upon which your child will successfully develop both physically and emotionally. You will be surprised by the wonderful sense of joy and contentment which pervades each class. Babies love being touched with a loving hand and enjoy the company of other babies. Massage will help you to become confident in handling your baby. You will enhance your baby’s overall well being as well as discover methods of relieving colic, restlessness, digestive problems and other early problems. Each session uses techniques which follow the development of your child. It is best to attend from 6 weeks old until your baby is able to sit independently. The massage will transform your baby’s natural flexibility into strength. This strength in the muscles and bones will form the basis for the optimal postural development of your child. The classes are also fun and a wonderful way in which to meet other new mothers and make good friends. 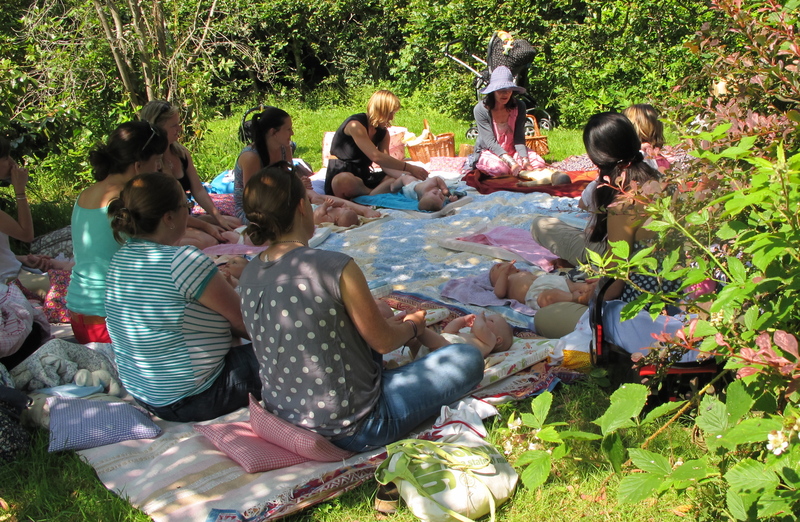 The baby massage classes are held at my home in Idless, Truro, Cornwall. Many mothers enjoy spending this time focussing on their baby. We end the class with tea and cake, where you have a chance to share experiences with other mums. Many long lasting friendships have been made here. Classes have limited spaces. Towels, organic oils, mats and refreshments are provided. All you need to bring is you, your baby and your baby’s food. To take part in any of my classes, please phone or email in advance to book your place. Classes cost £40 for 4 classes or £12 drop in. Class from the prepaid block of 4 can be used as and when you are able to attend. Wednesday morning 11am and afternoon 2pm. Please see the calendar for specific dates. One-on-One classes are also available, as well as private group classes in your own home. I occasionally run Daddy’s Baby Massage Workshops as well. Please get in touch to find out more.